UsabilityHub becomes UserCrowd for testers - Profit from user testing! In return small amounts of cash are paid to those who complete the tests. It’s a fun little way to earn a bit of extra money. Earnings can be withdrawn via Paypal once you reach a minimum of $10. So far I’ve been paid 3 times with no problems. Previously the company had one name, UsabilityHub, which served the companies who wanted feedback, and people looking to give feedback in return for a bit of extra money. The service has grown over the years and now appears to be well-established. 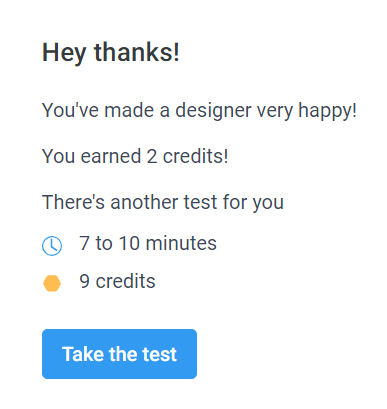 I’ve been a member since the start of 2018 and have completed just over 200 tests, earning a total of $43. Here is a screenshot of the number of tests I’ve done (so far!). The company have now decided to give the tester panel a separate name, this change to the business makes sense and helps avoid confusion. So, UserCrowd.com has been born. The good news is that nothing with the service actually changes. You still earn money in the same way and everything continues the same. This just separates the user testing panel from the companies who would still go via the UsabilityHub website. If you aren’t a member but think this is a way you’d like to make extra money then all you need to do is go to UserCrowd.com and sign up. If you’re already a member it’s fairly easy. 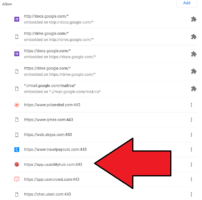 First, if you have the website bookmarked in your browser bookmarks then delete the old link and add in the new website. That was the first thing I did. By far the best way to make sure you make the most money from UserCrowd is to ensure you have browser notifications on. This means when you have your browser open there’ll be a small pop-up notifying you there’s a test you can do. It is easy enough to turn on notifications in your UserCrowd dashboard. The problem I had was that the old notifications from UsabilityHub were still working too, that meant I was getting double binging! Nobody wants double binging. 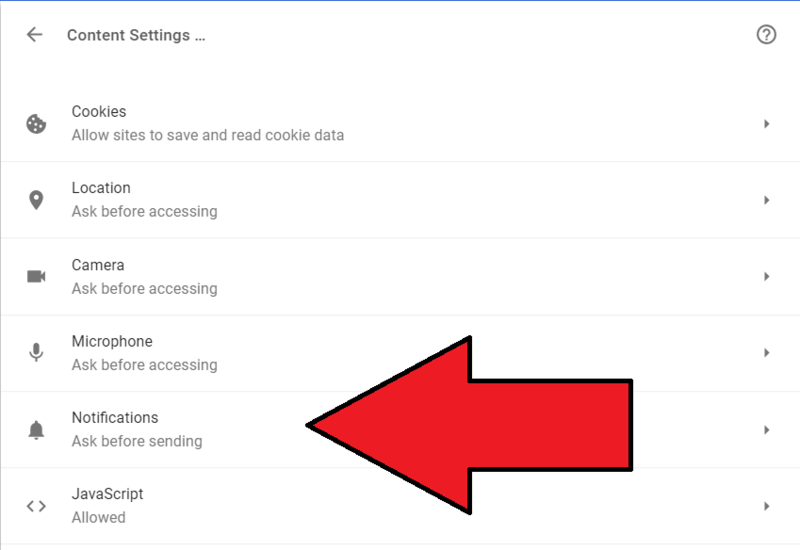 Here is how to turn the old notifications off in Google Chrome. Click the images in this guide to make them bigger. 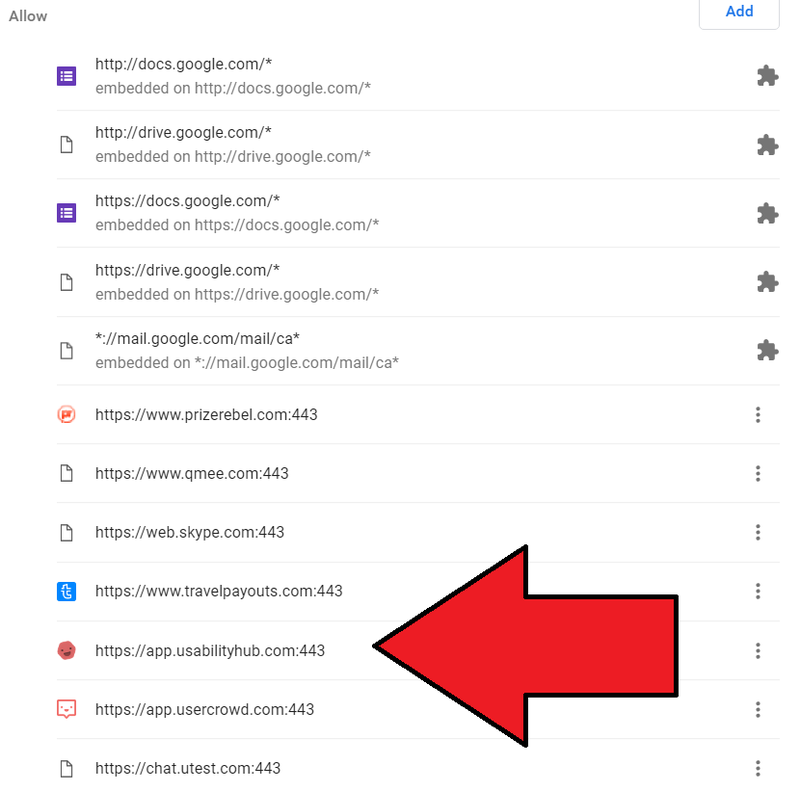 Open up your Chrome Settings by clicking the ‘Settings’ link in the menu. Scroll down and click where it says ‘Advanced’. That will reveal more options. Click the one titled ‘Content Settings …’. Now click the 3 little dots to the right of it where you will see the option to ‘Remove’ it. Click that and you’ll no longer get the old notifications. 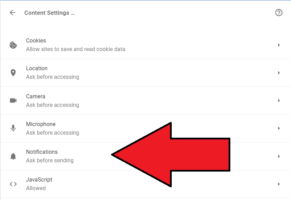 You can now close your Google Chrome settings and it will save the changes. That’s it you’re now all set to start earning. How much can you earn from doing user testing at this website? Not huge amounts. But the tests are quick and short to do, that’s why they only pay out small amounts for each test. You will normally get one or two credits. A credit is worth $0.10. Sometimes the tests are higher, this is the biggest payout I’ve seen. I tend to find the time it takes is often slightly shorter than what they predict but maybe they stray on the side of caution. This post is all done. Hope it helped. This is just one of the websites listed in the huge MoneyCortex list of money making websites. Any questions about this post, you are welcome to ask in the comments section. Once you’ve got a balance over $10 and put your Paypal email address into your ‘Account settings’ you should see a button in your dashboard that allows you to request payment. Hope that helps. Contact their support team if you have any more problems and they should be able to help you out further.